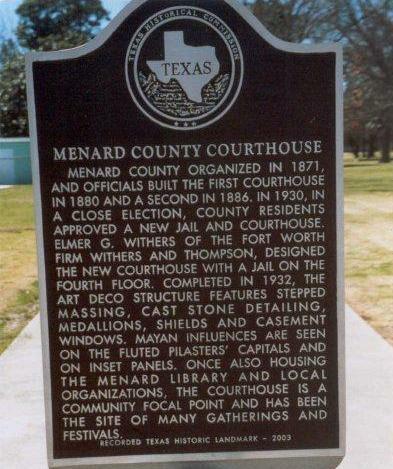 Menard County courthouse, Menard Texas. 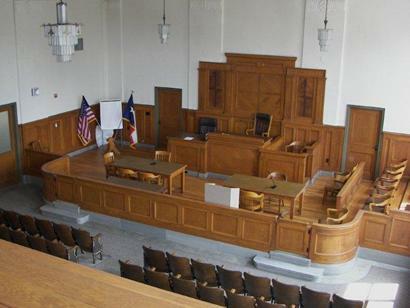 The county was organized in 1871 with county court being held under the branches of a Live Oak tree. 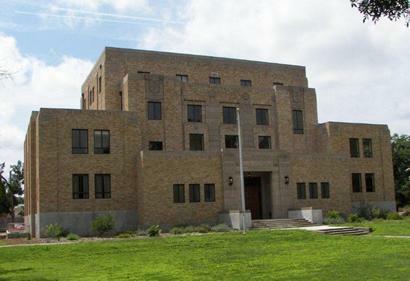 Designed by Elmer G. Withers of Withers & Thompson, this brick courthouse is very similar to the stone 1932 courthouse in Young County, which was also designed by Withers & Thompson. 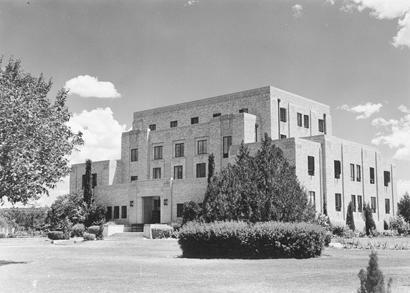 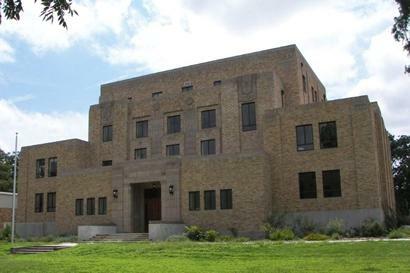 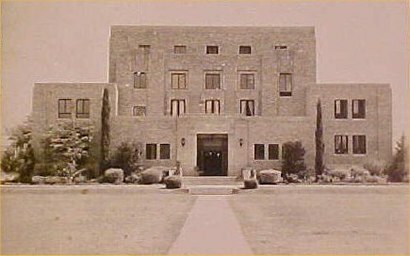 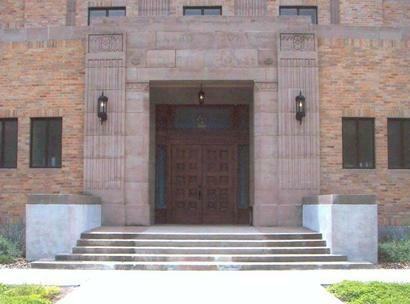 The 1932 Menard County courthouse received an interior and exterior restoration and was rededicated on November 11, 2006. 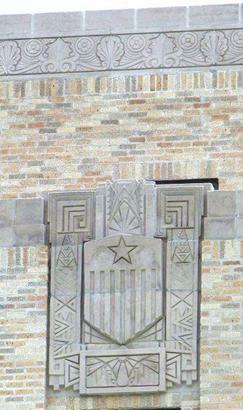 Some of the designs along the roofline. 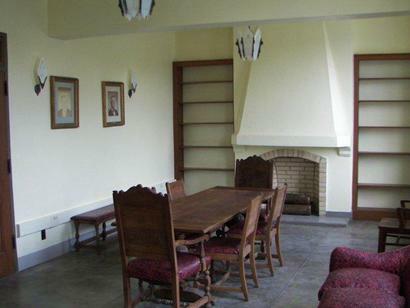 One of the more interesting restored rooms on the inside is the lawyer's lounge. 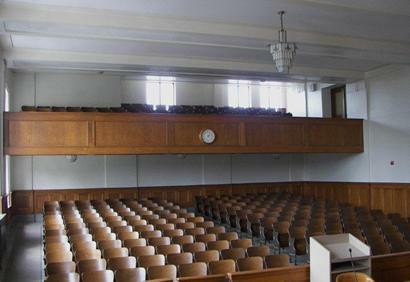 It is located in the center, recessed section, overlooking the front entrance. 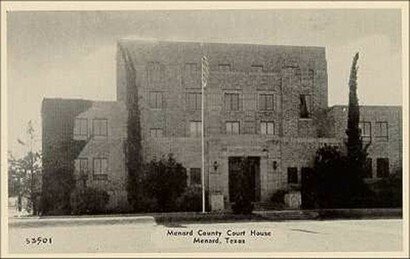 Another early view of the Menard County Courthouse.